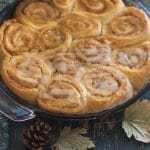 No Yeast Cinnamon Rolls, are a fast and easy breakfast or brunch treat. 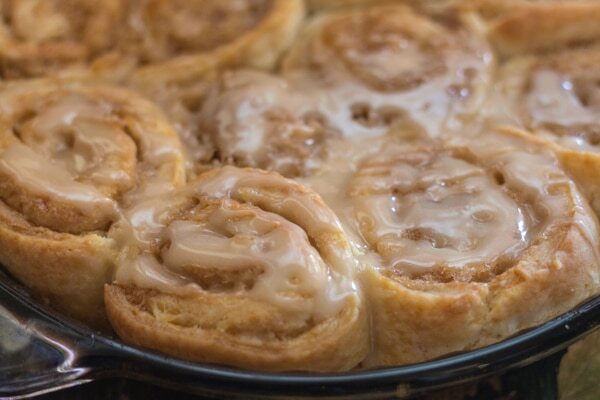 A soft homemade roll with a brown sugar, cinnamon & butter filling, baked then topped with a Maple Glaze. Perfect. August has been a month full of excitement. This is usually the get-together-with-friends-month! 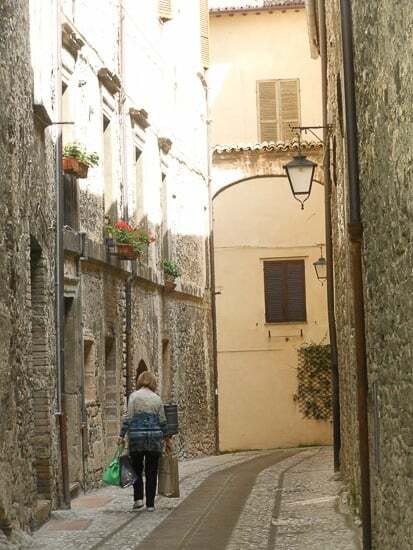 We usually decide to have dinners together and go out for a whole day to a small town, somewhere around the area that we haven’t been to yet and we proceed to check out all the specialties of the place. Last night for example was one of those days in which we got together here at our house and we cook, drink some wine, eat and laugh more than anything else. 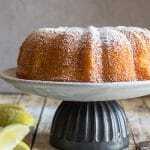 As you can see this recipe has been updated! 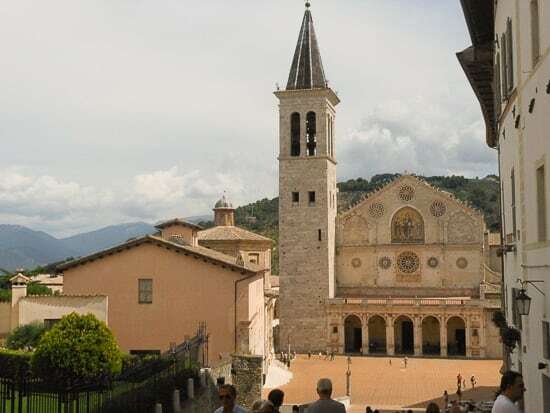 This area of Italy is still as beautiful as it was back in August 31, 2014. One of our friends is a very good cook, he started getting more and more interested in cooking in the last few years and he has become the “sous chef” of the group. So he was the one who volunteered in making dinner. 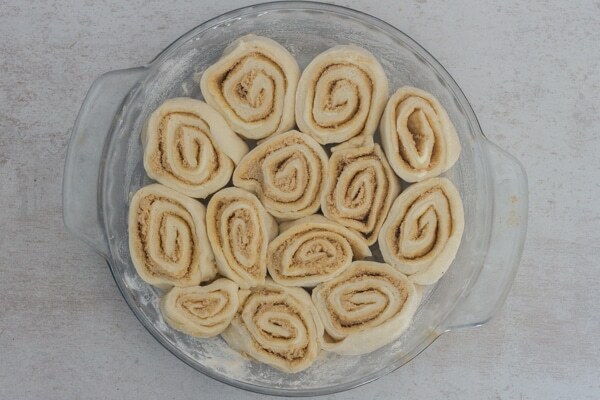 Cinnamon Roll dough made and rolled. Cinnamon rolls in the pan ready for baking. And I volunteered to make the dessert, because no meal is complete without a Delicious Sweet Ending right? 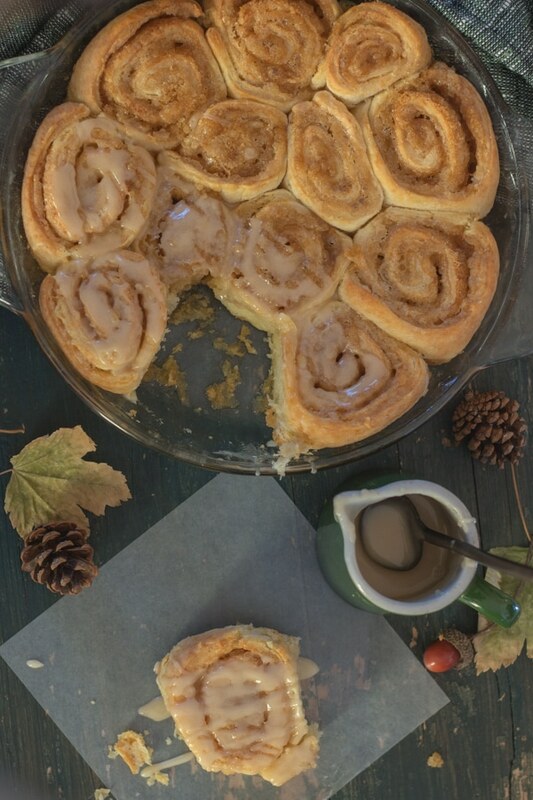 I decided to make these No Yeast Cinnamon Rolls, since no one had ever tried cinnamon buns before, I thought it would be the perfect quick and easy dessert to make. And of course they are one of my favourites! Cinnamon Rolls were apparently invented in Sweden. 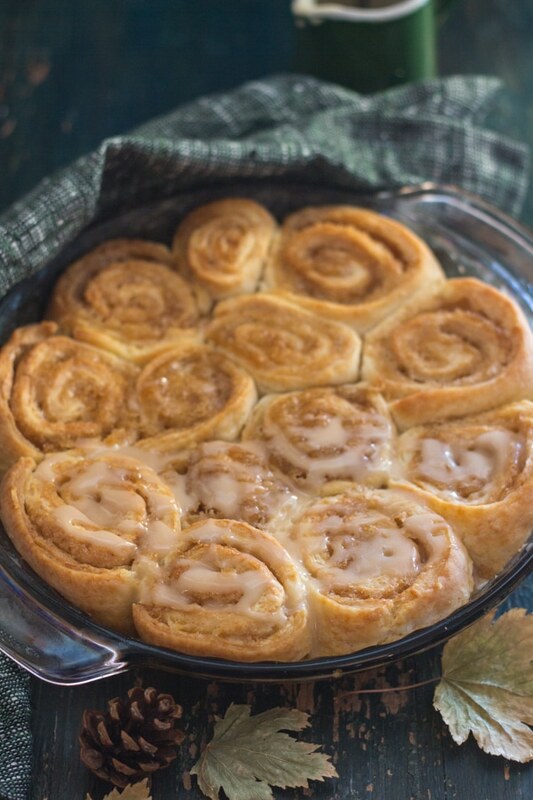 There is even a Cinnamon Roll National Holiday on October 9. My mother used to make these almost every Friday night and they became one of our weekly food traditions! 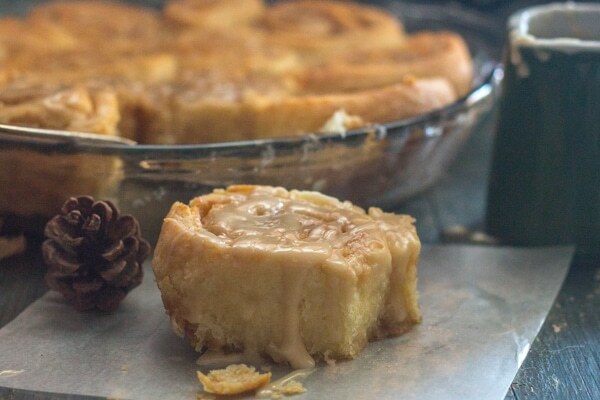 But I consider these an easy substitute for a Cinnamon Bun without the yeast and no rising time needed! And believe me you can never stop at one! This time I decided to top them with a Maple Glaze. The Italian loves these so much they are always gone the same day I make them. These can also be made individually in a 12 medium size muffin pan. Than this is a recipe to try and when you’re done baking them and after you’ve tasted them, let me know what your thoughts are! Enjoy! 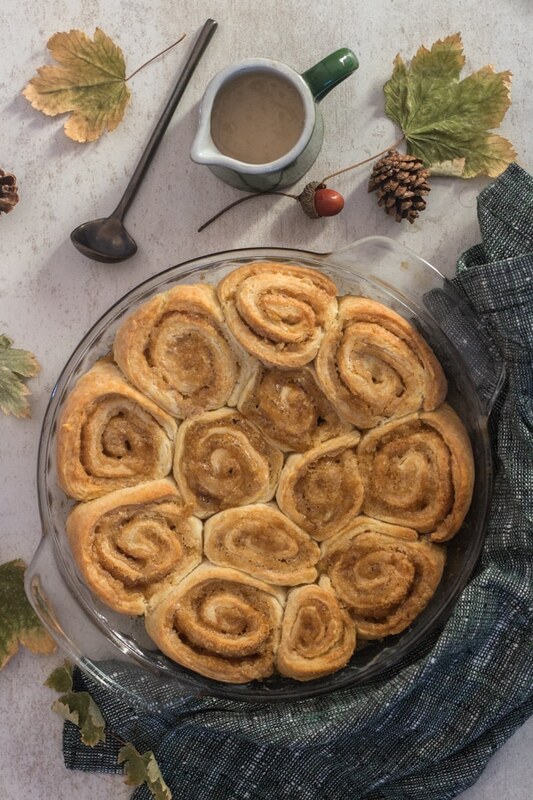 Brown Sugar Pinwheels, fast and easy, no-yeast brown sugar pinwheels,better than a cinnamon bun? Yes they are! **If using unsalted butter then add 1/2 teaspoon salt. Pre- heat oven to 350 degrees (180 degrees). Lightly grease and flour an 8 inch pan. 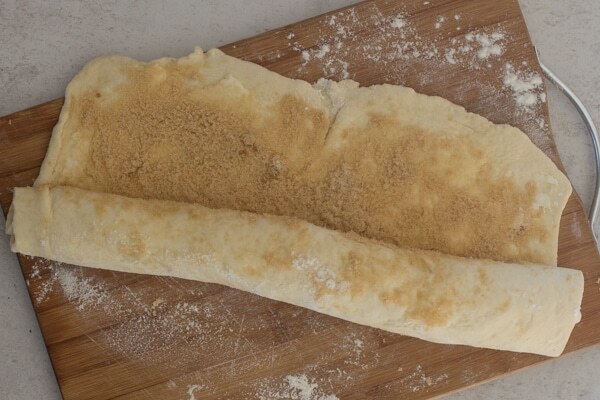 In a large bowl with a whisk mix flour, baking powder and salt, with a pastry blender cut in butter until it resembles coarse crumbs, add milk and with a fork mix till mixture becomes a soft dough turn onto a lightly floured surface and knead just until dough is thoroughly combined. 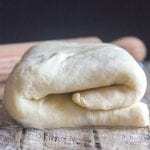 Roll dough out to rectangle that is 1/8 inch thick. In a small bowl mix together the brown sugar and cinnamon (if using). Spread with butter and sprinkle with brown sugar / cinnamon mixture, pat down lightly. Starting with long end roll into a log, cut into 12 pieces and place in prepared muffin tins. Bake for approximately 30-35 minutes (or until golden). Let cool before drizzling with glaze. Enjoy! In a small bowl combine powdered sugar, vanilla and maple syrup if it is too thick add 1/2 tablespoon of half and half, mix until smooth. I am definitely going to make these for my grandchildren. I hope mine come out as good as the ones you made. I wish you and your family a Happy and Healthy 2019. Hi Ann thanks so much, I hope they enjoy them. And Happy New Year to you and your family too! 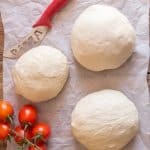 I just ran across this recipe and discovered your blog! I was a little confused to read that you were living in Italy and writing about brown sugar. My heart let. I am a US expat living in Switzerland and have not seen *”proper” brown sugar for sale here or in Germany France (although a friend swears she found some here) or Austria, or Italy. Please tell me what to look for and how to find it! *By “proper” I mean the slightly moist sticky brown sugar that is generally packed when measured and critical to recipes like chewy chocolate chip cookies. Hi Hollee, I am really sorry to break it to you but I haven’t found it either, but I make my own, I usually make it in bulk, so I take a kilo of white sugar and I add 2 tablespoons (more or less depending if you want dark or light) of molasses (because that’s all “proper” brown sugar is) and I put on a pair of gloves and I mix it with my hands, I used to use a whisk but it took forever to come together. If you can’t find molasses in stores you can get it on Amazon. I keep the brown sugar in the freezer and the molasses opened in the fridge. Hope that helps. 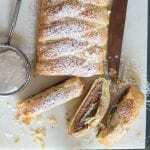 The recipe sounds great and I would imagine it can be changed up a bit to make “fruity” rolls (I’m thinking fruit preserves and nuts). Do you mean you can freeze the molasses or the brown sugar. I rarely use molasses but if I could freeze it to keep it fresh, that would be a convenience. Thank you for your recipes – I’ve printed out so many of them! Hi Josephine, sorry I meant I keep the brown sugar in the freezer. Although I keep my opened molasses in the fridge, it should keep for up to 5 years. Hope that helps. Glad you enjoy the recipes. Have a great weekend. Hi Loren, thanks I hope you enjoy them. Let me know. I have a thing for brown sugar anything, so I can’t way to try this out! Thank you so much for linking up at Tasty Tuesday! Your recipe has been pinned to the Tasty Tuesday Pinterest board! Please join us again this week! I just wanted to thank you for giving us BOTH tablespoons and grams. They didn’t teach us Metric when I went to school so I never thought I’d use it. With recipes coming to us from around the world now, it’s nice to NOT have to look up the ingredient measurements. So, thanks! Hello, thank you for stopping by. 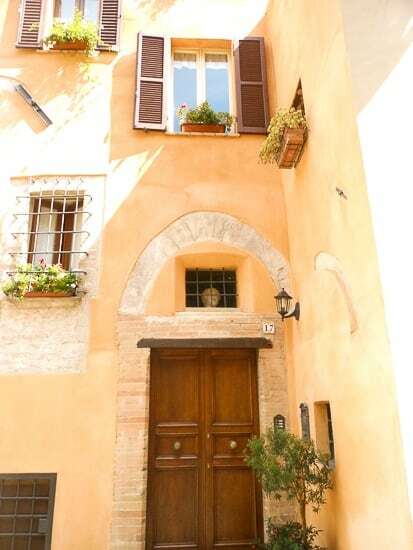 Being in Italy it is all about metric so it has become easier for me although I still use imperial system too. Glad to help out.